Experience Real Life! Beyond Your Wildest Imagination! Shengena adventure is a Tanzania tour company with its headquarters in Arusha Tanzania. We organize and conduct private safaris on budget camping safaris, walking safaris, lodge & camping safaris, canoeing, biking tours, bird watching safaris, balloon safaris, day trio safaris, cultural experiences, mountain expeditions and beach getaways in Tanzania. On all our safaris we make use of specially designed and converted Toyota Landcruisers. We have put a lot of thought into adapting them to the rugged African bush, the rough conditions, and the bumpy roads, providing maximum comfort and at the same time ensuring the best safari experience for our guests. Our safari vehicles have large sliding windows and pop-up roofs, offering excellent views and giving our guests fantastic opportunities for safe and undisturbed photography while on game drives. On our adventure camping safaris you will be immersed in the East African wilderness. You will travel on rough adventurous roads, pass tiny rural settlements and see fascinating landscapes and abundant wildlife. All your senses will be involved; from smelling early morning coffee, experiencing the thrill of a kill to the chill of a morning game drive. Falling asleep to the hooting of an owl or waking up with the roaring of a lion is what you will experience. The safari experience is all the more intense as you are ‘right in the middle’ of it all. Our professional guides are all native Tanzanians with decades of combined experience mountain climbing and conducting safaris with travelers from around the world. They are expert game trackers with extensive knowledge about wildlife, habitats, flora, and fauna. When on safari, they will excitedly share with you their knowledge and love of the wildlife, landscapes, and people of their home country. Fluent in English, French, Germany, Spanish, Italian, Chinese and other languages. 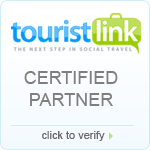 source for the highest quality of tour services.